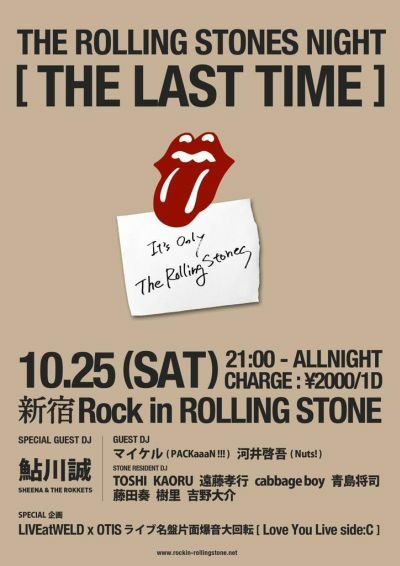 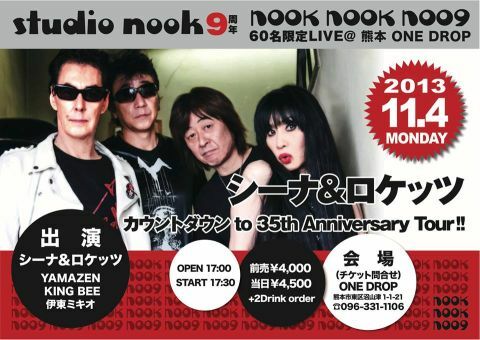 10/25(土)LAST STONES NIGHT "THE LAST TIME"
studio nook 9th anniversary "nook nook noo9 "
T-JAM 2013 "Kappa Rock Fes" 10Th ANNIVERSARY ! 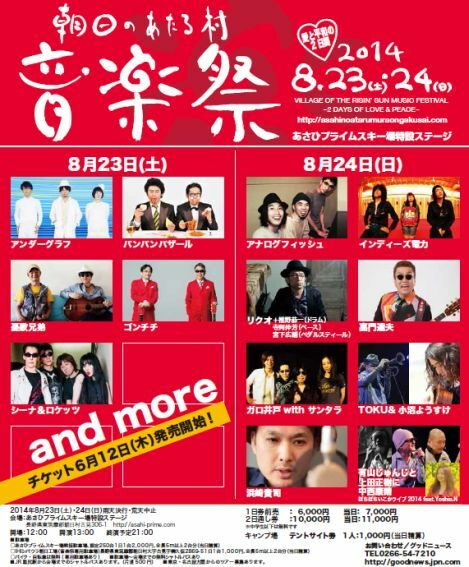 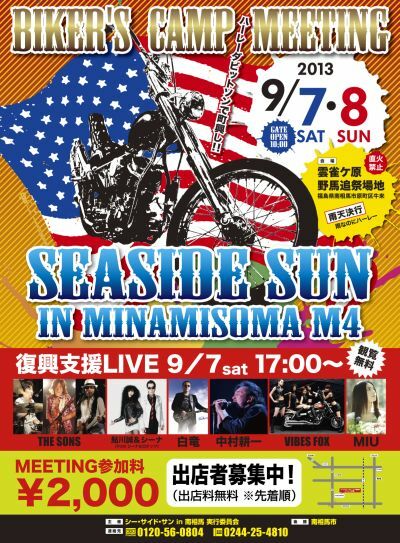 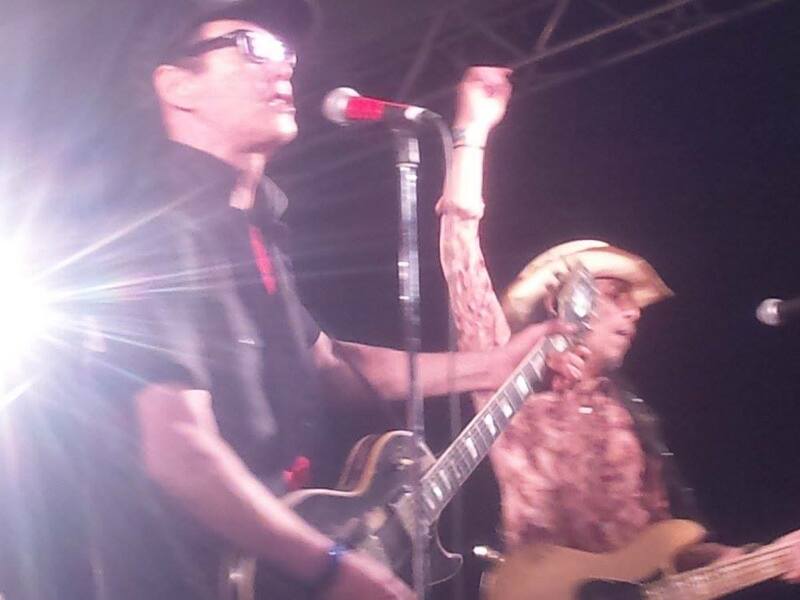 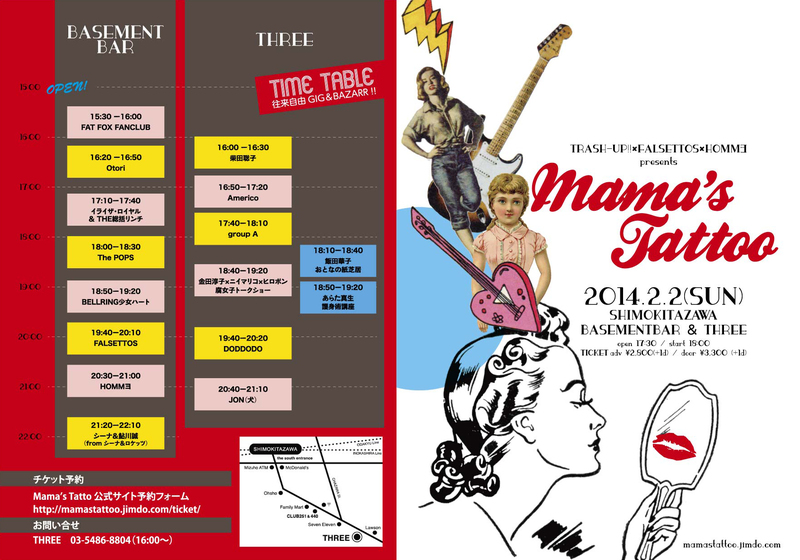 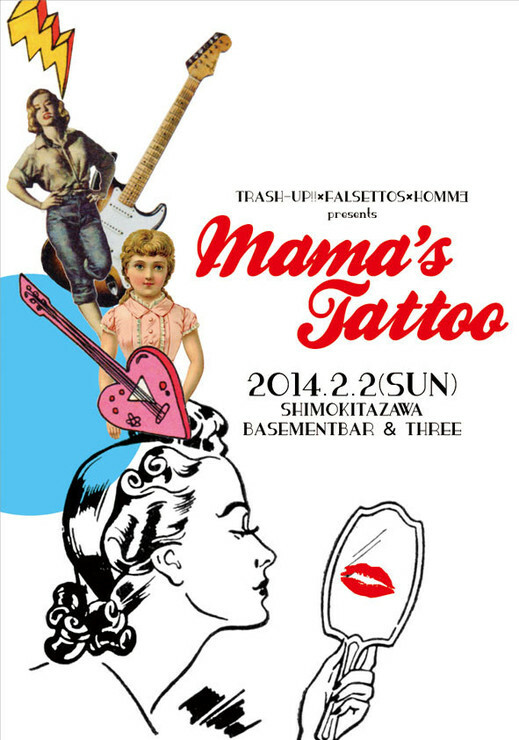 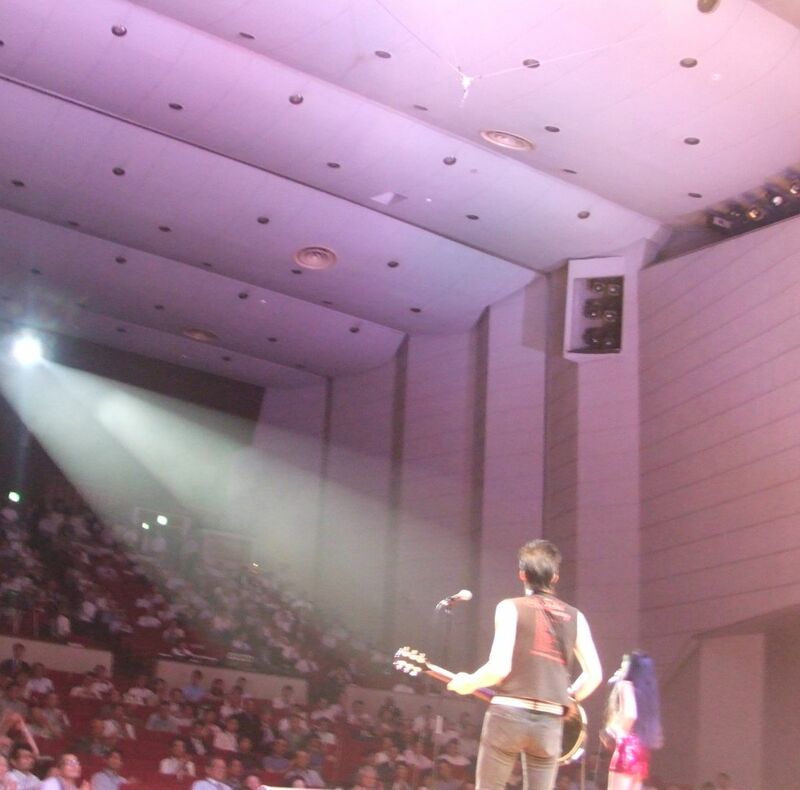 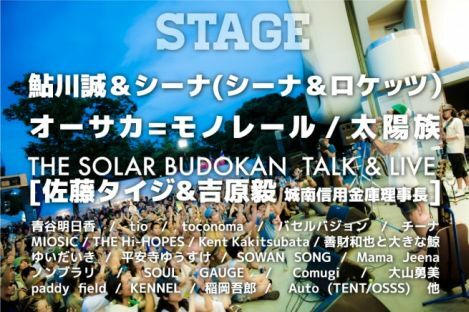 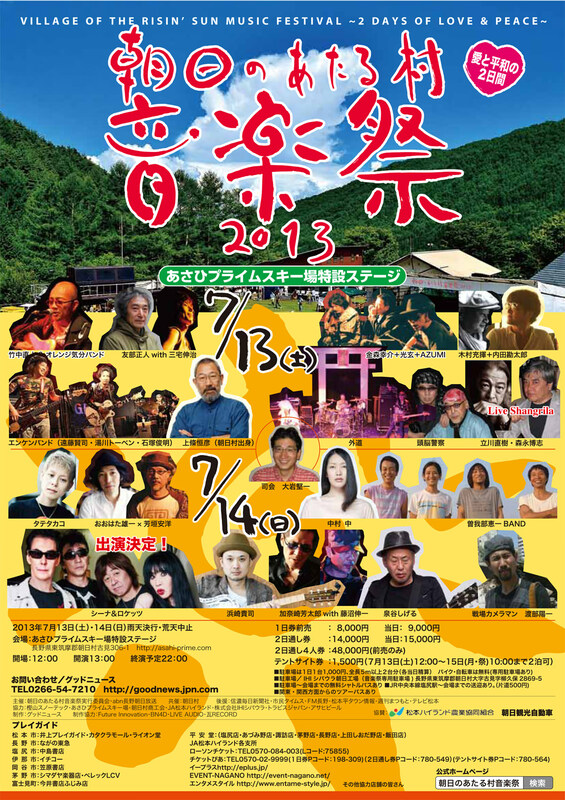 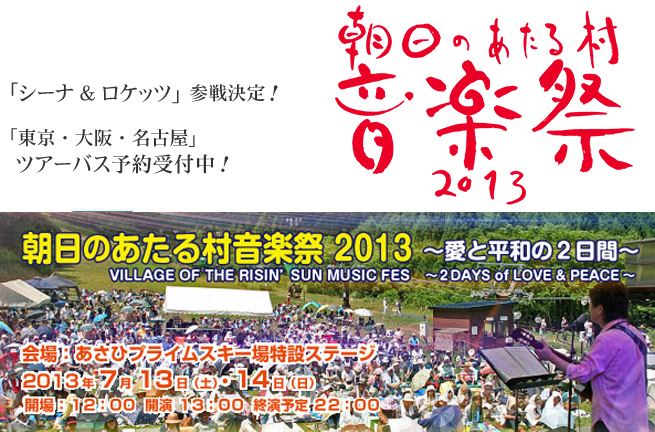 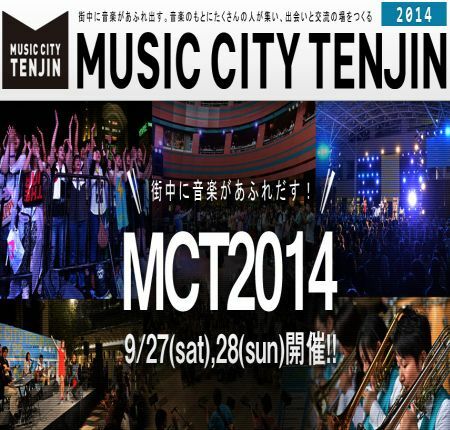 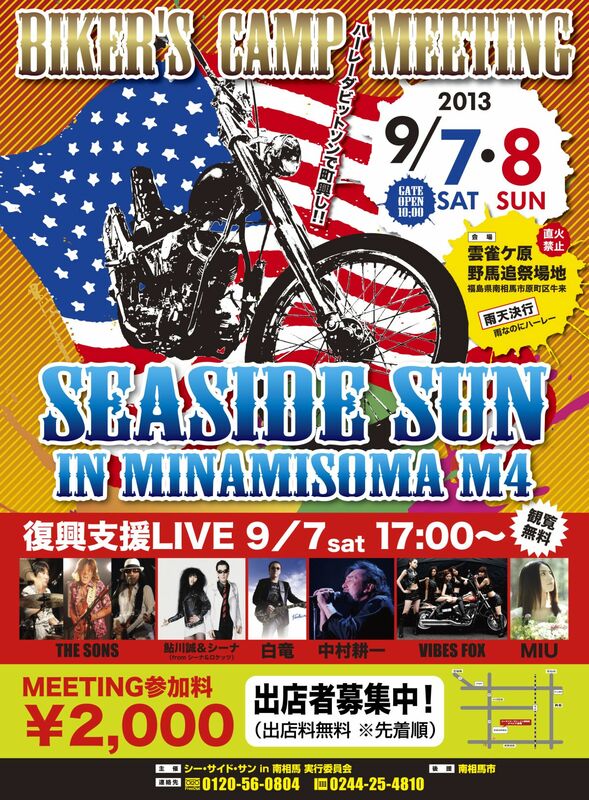 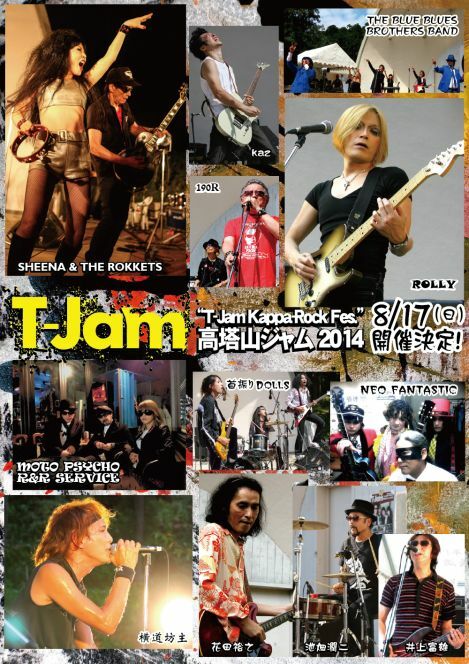 高塔山ジャム 2013 "T-Jam Kappa- Rock Fes." 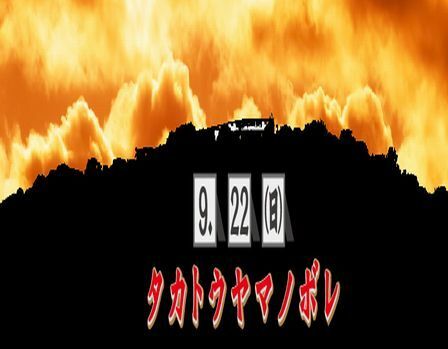 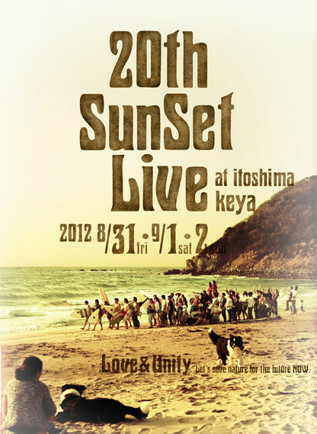 Endless Hot Summer August 3days ! 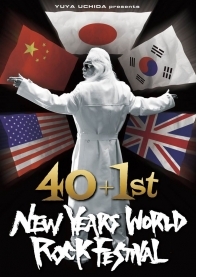 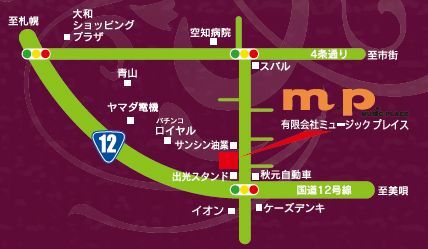 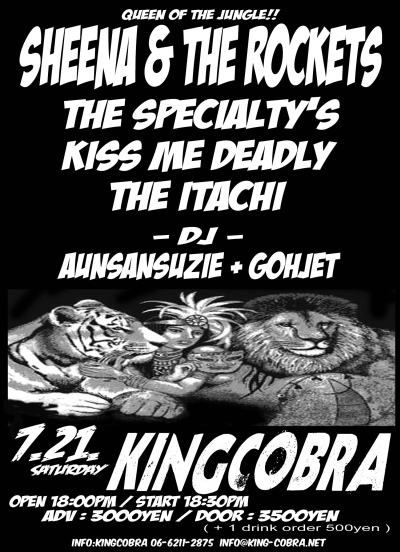 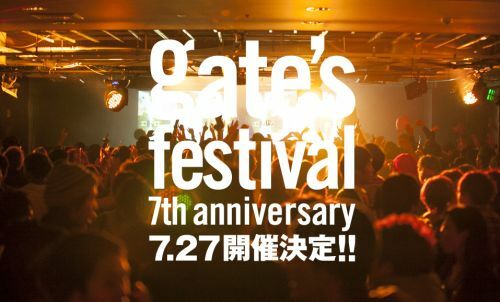 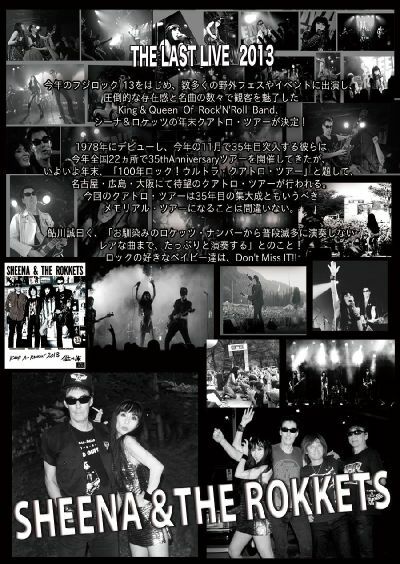 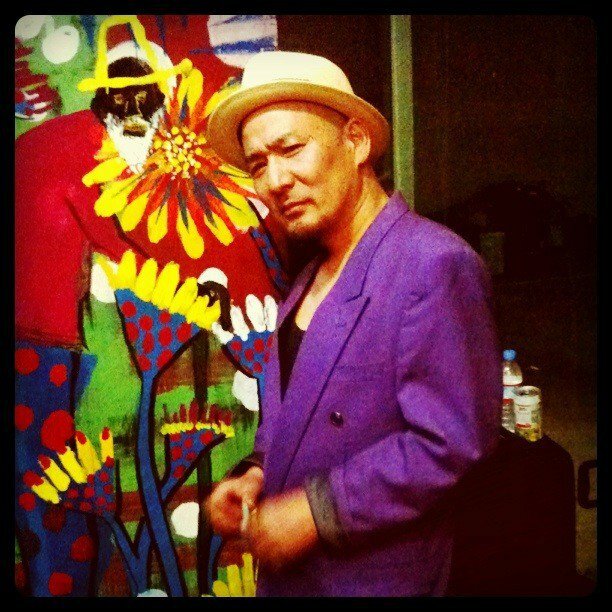 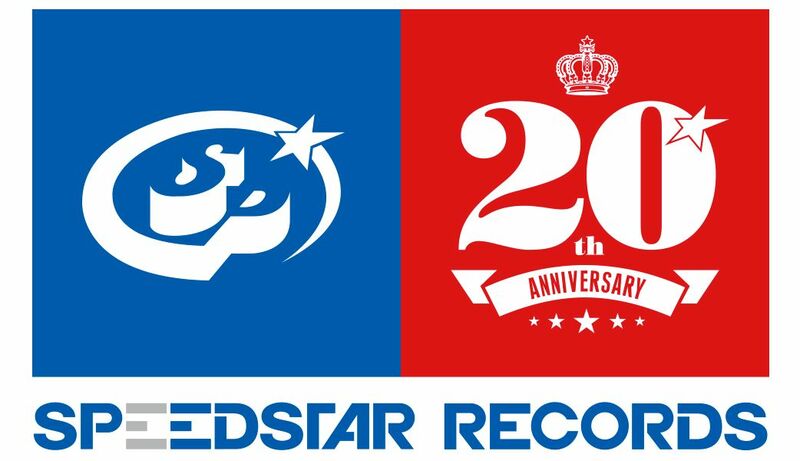 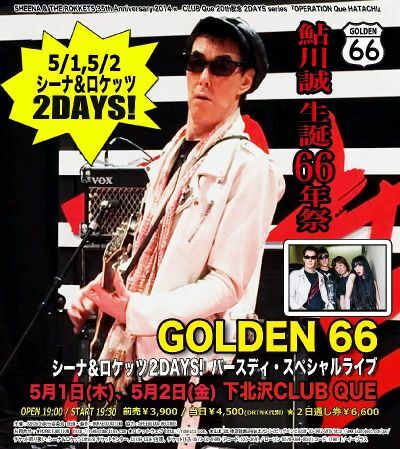 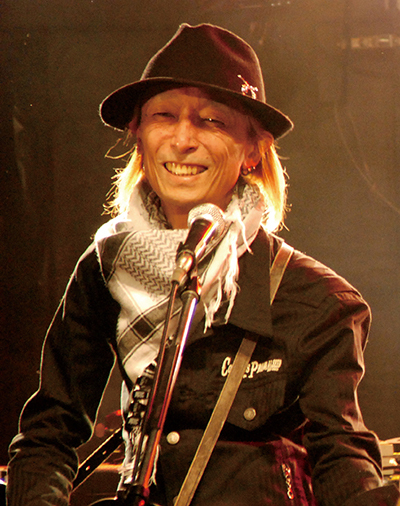 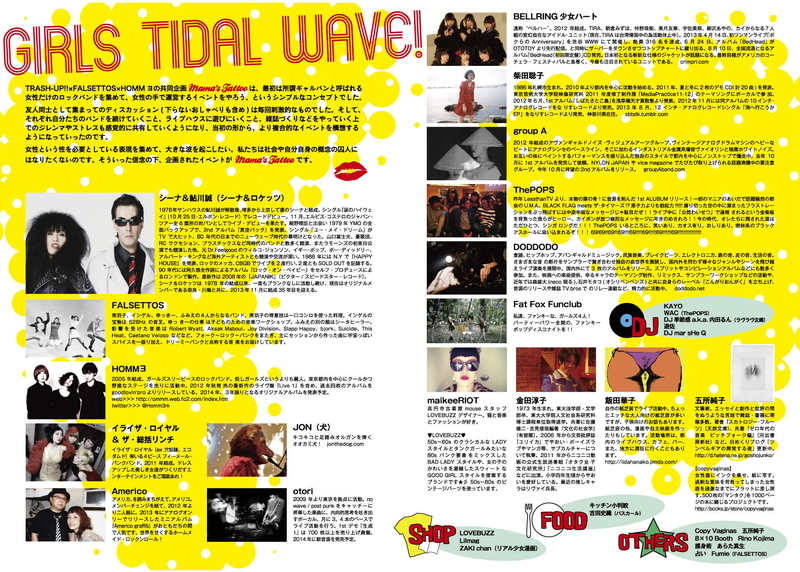 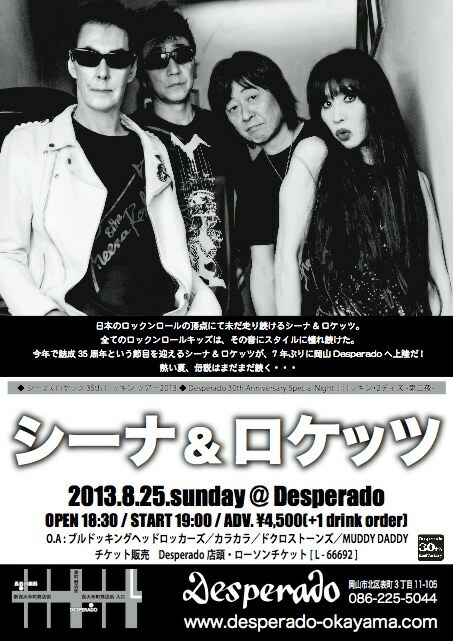 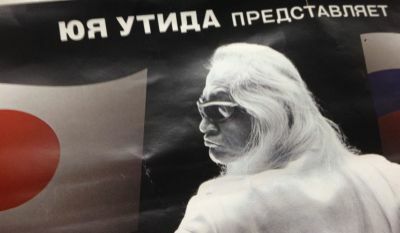 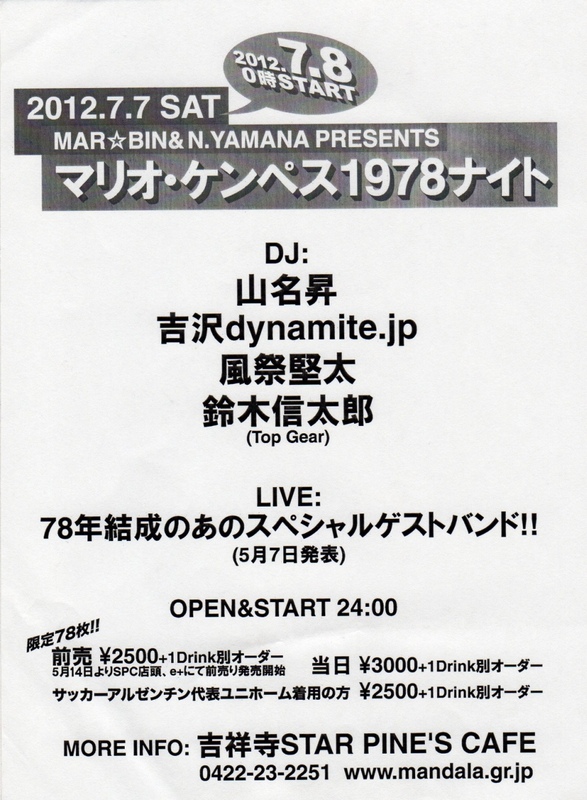 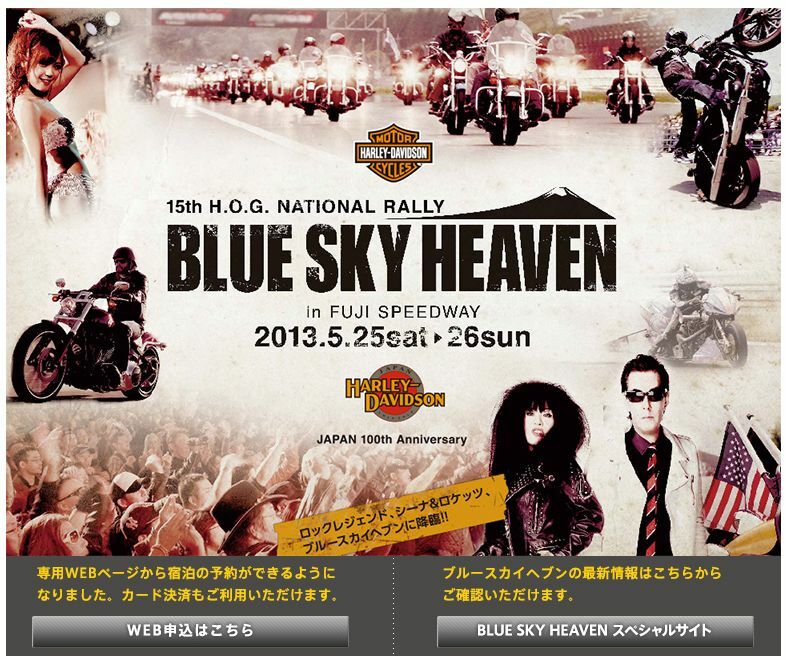 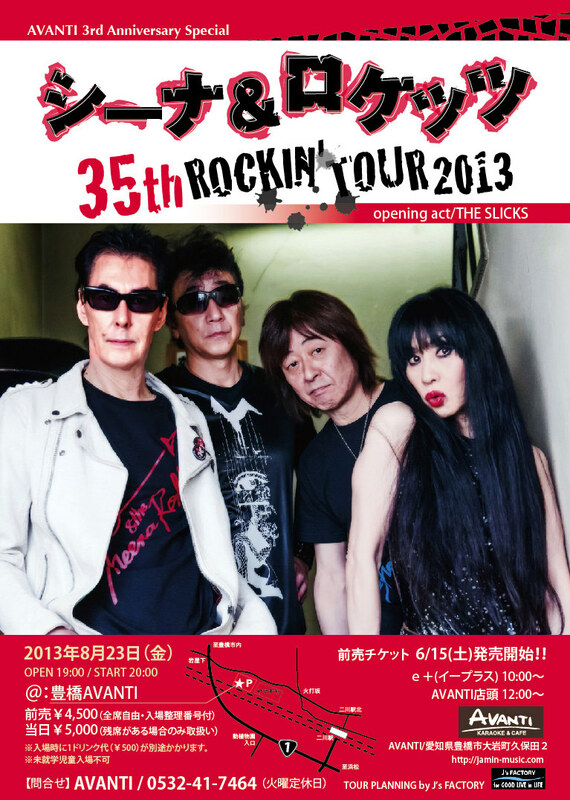 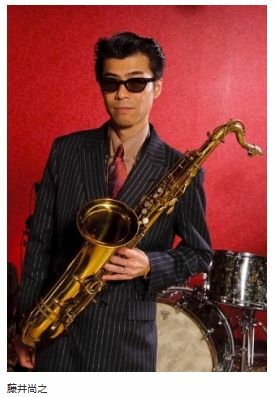 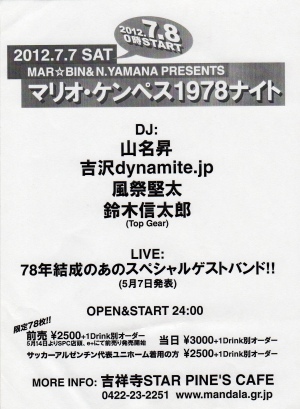 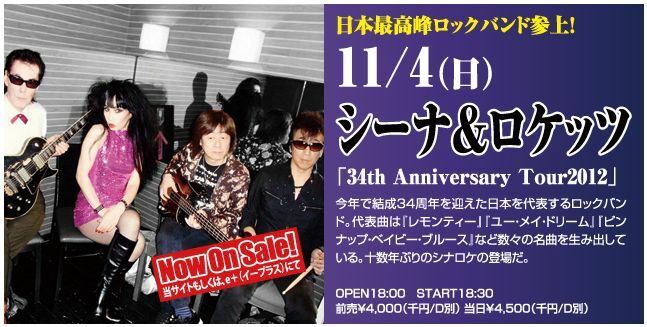 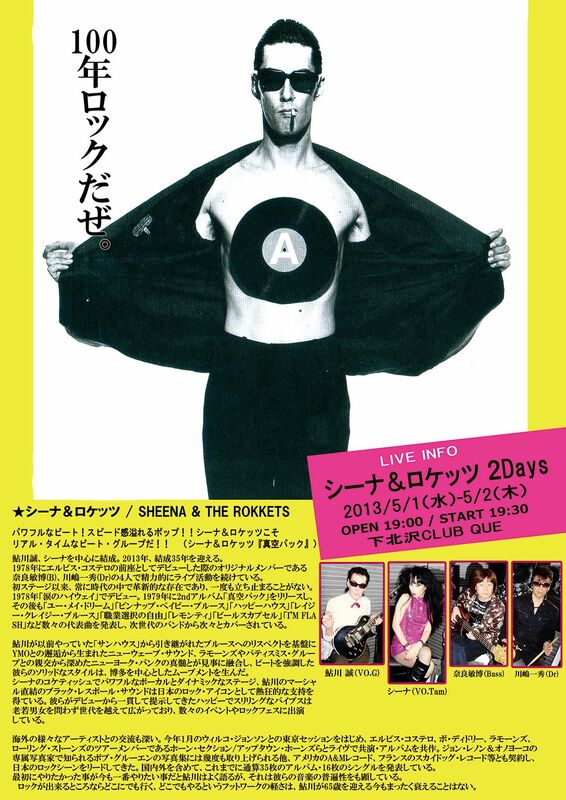 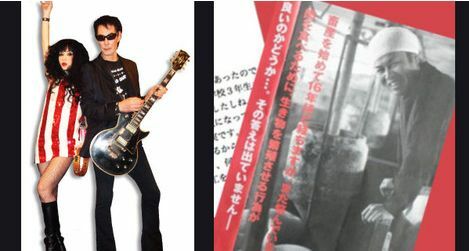 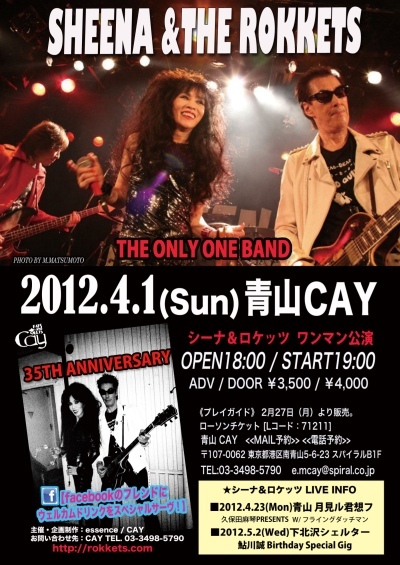 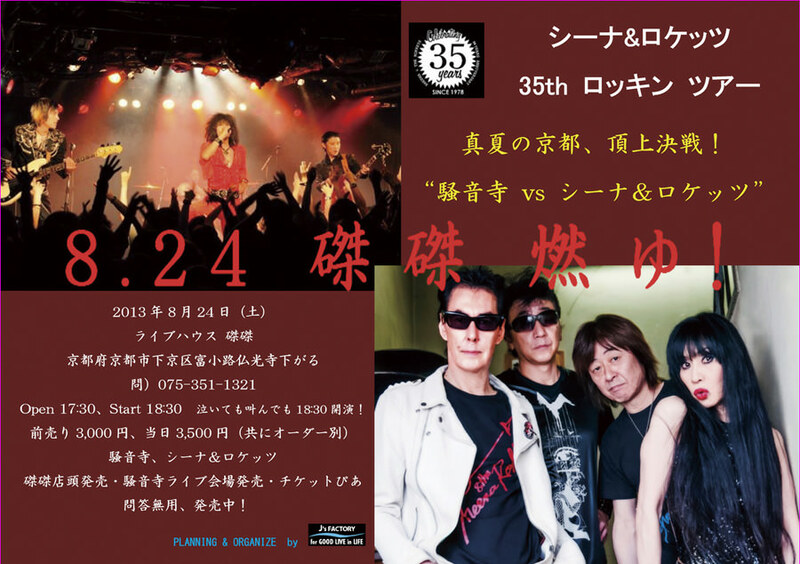 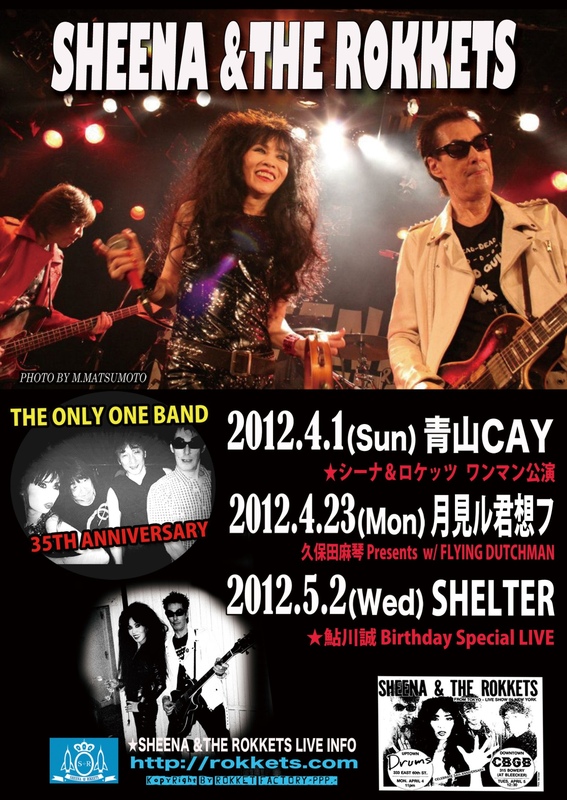 Shibuya CLUB QUATTRO 25th Anniversary "QUATTRO QUARTER"
■高塔山ジャム "T-Jam 2012 Kappa Rock Fes." 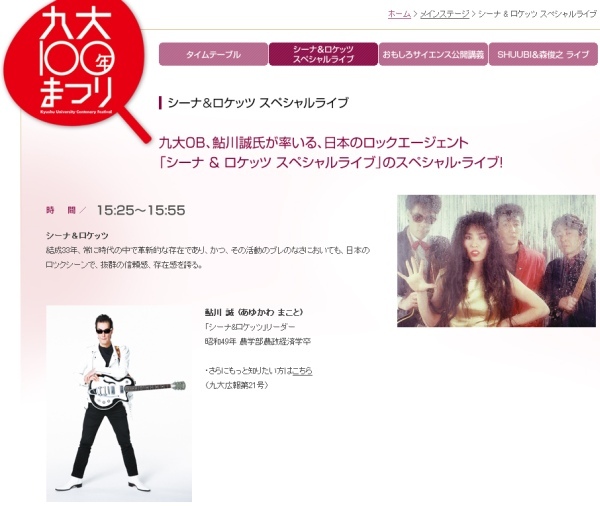 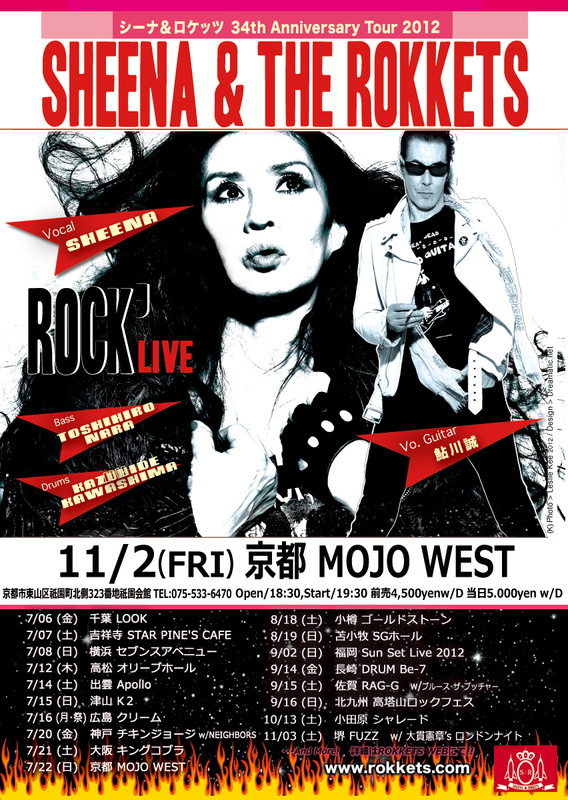 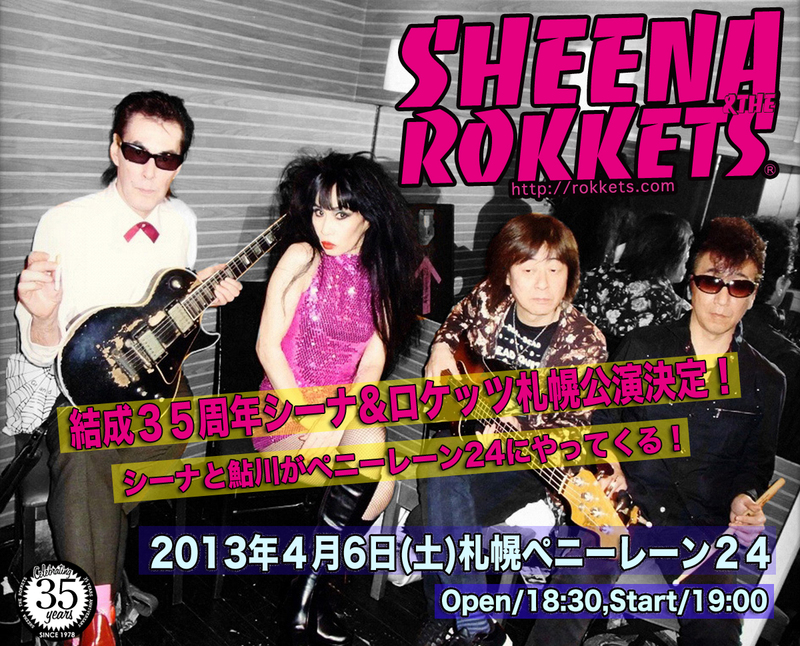 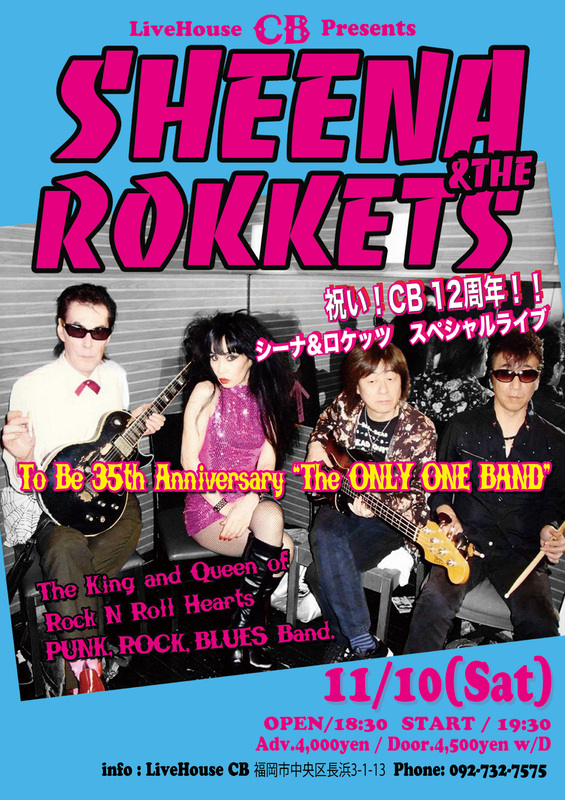 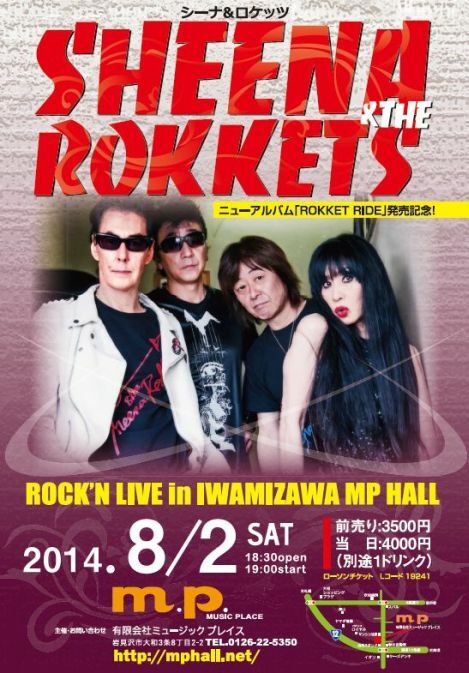 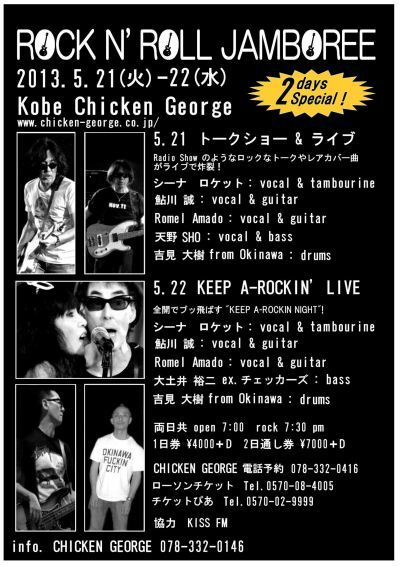 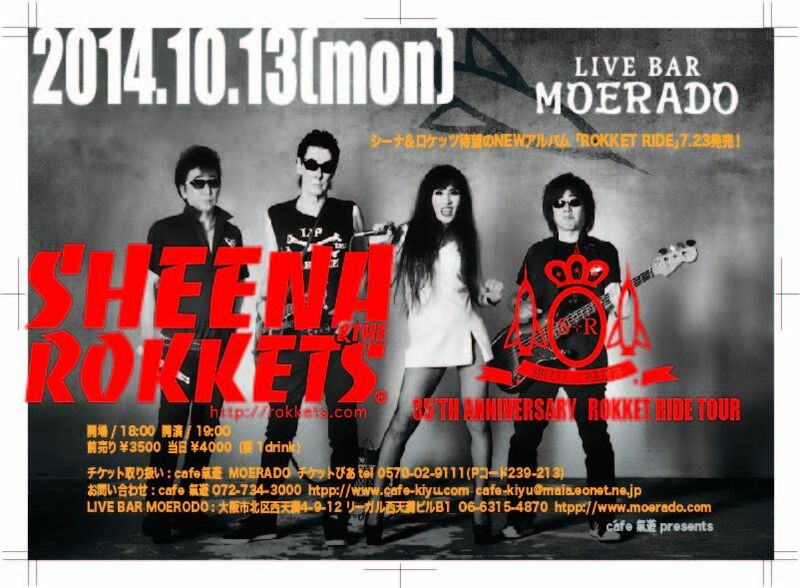 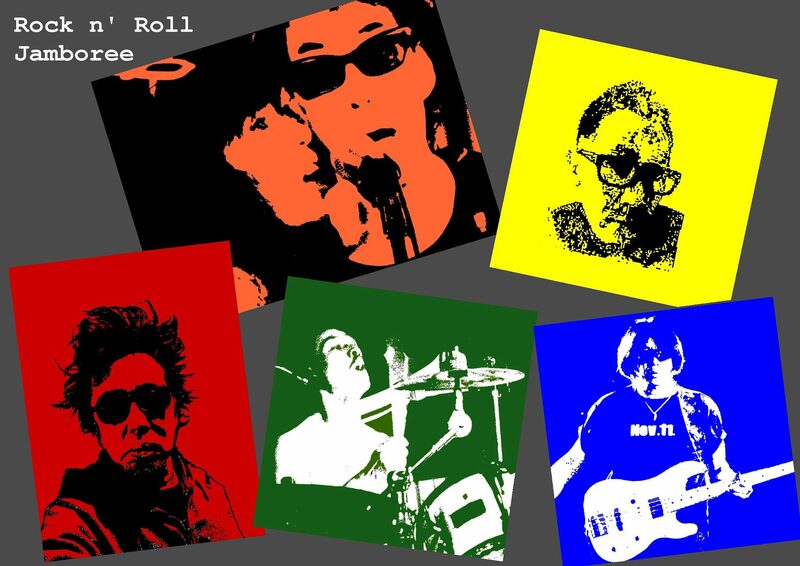 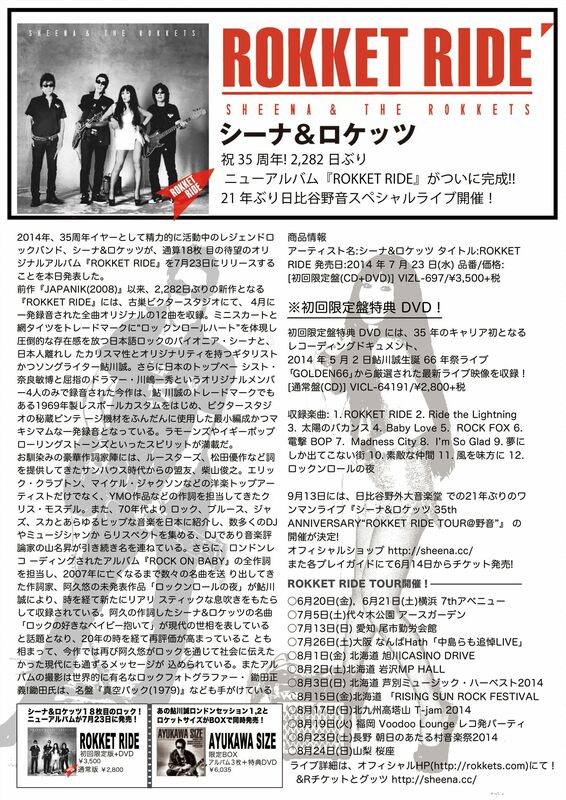 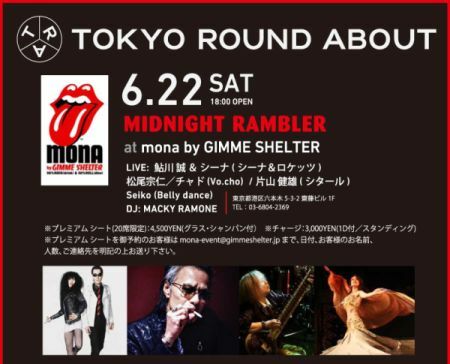 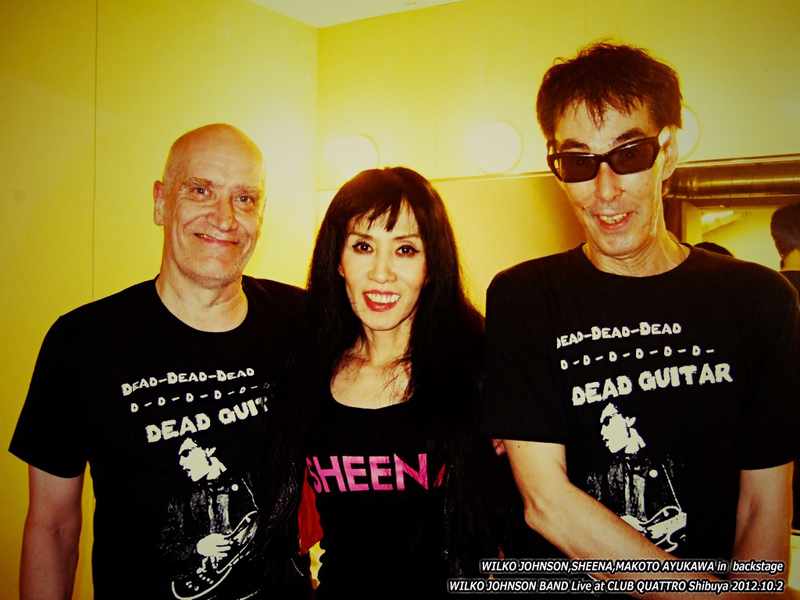 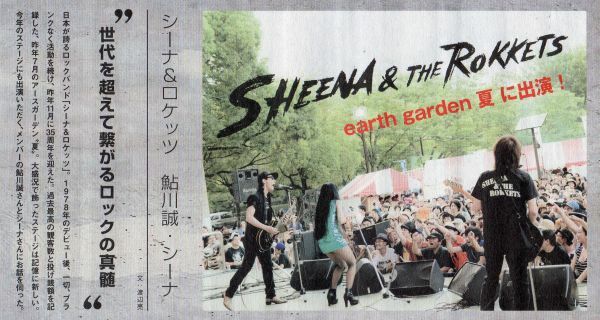 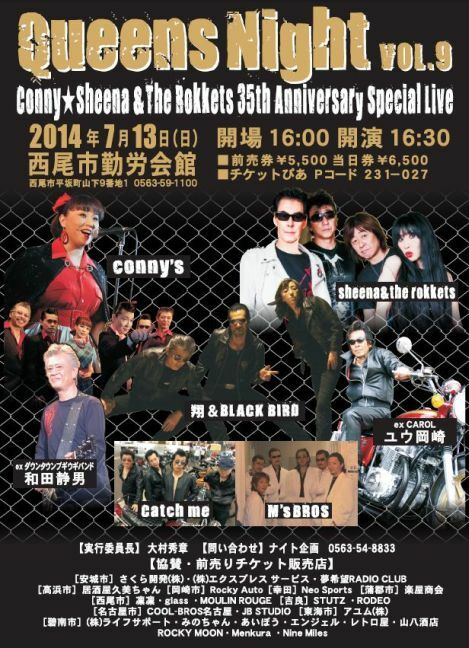 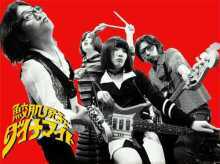 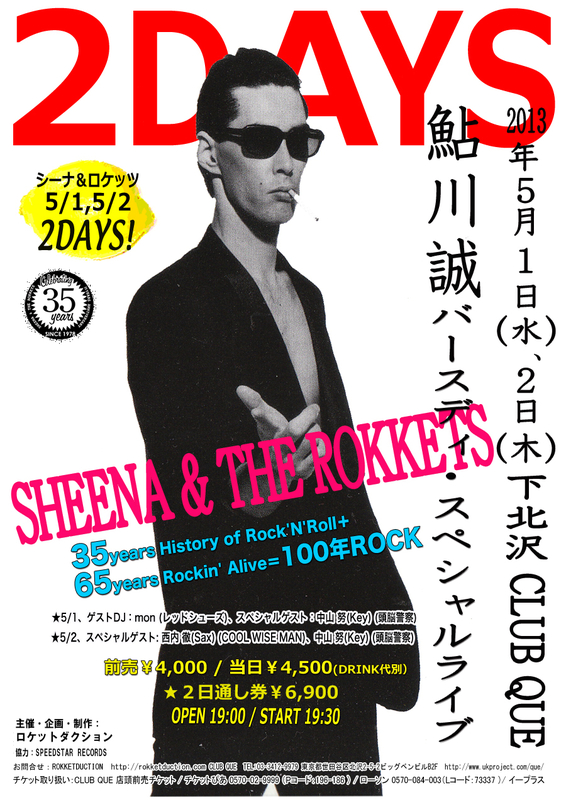 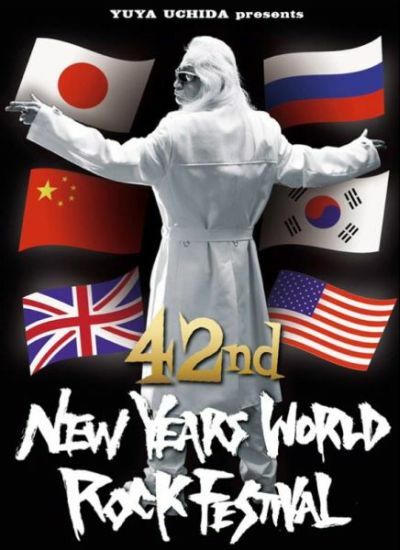 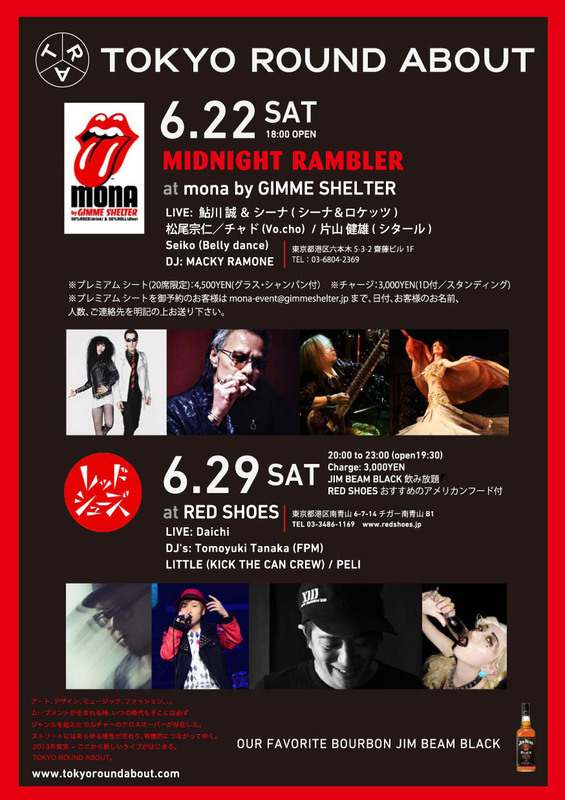 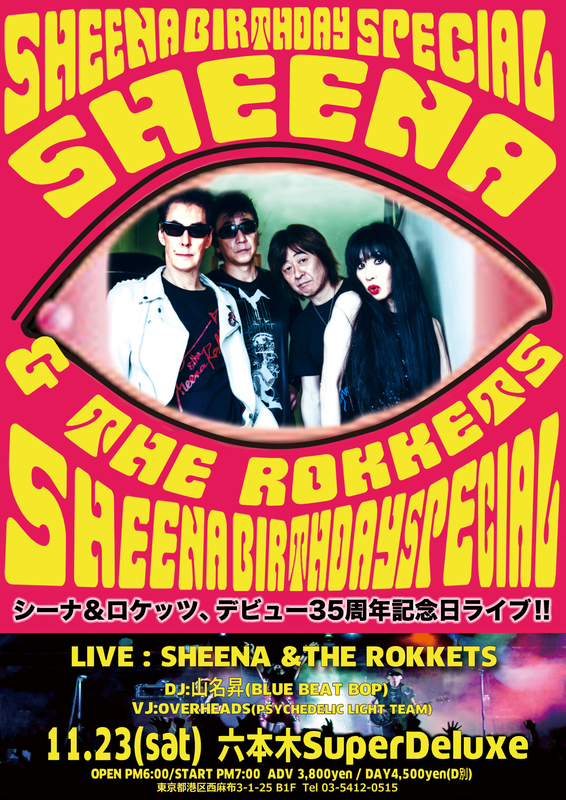 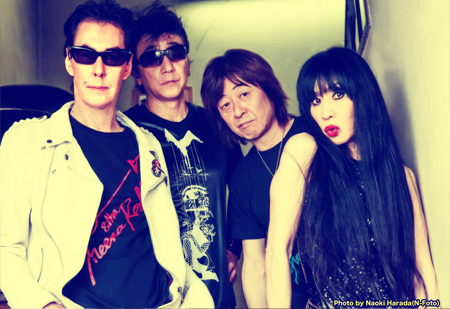 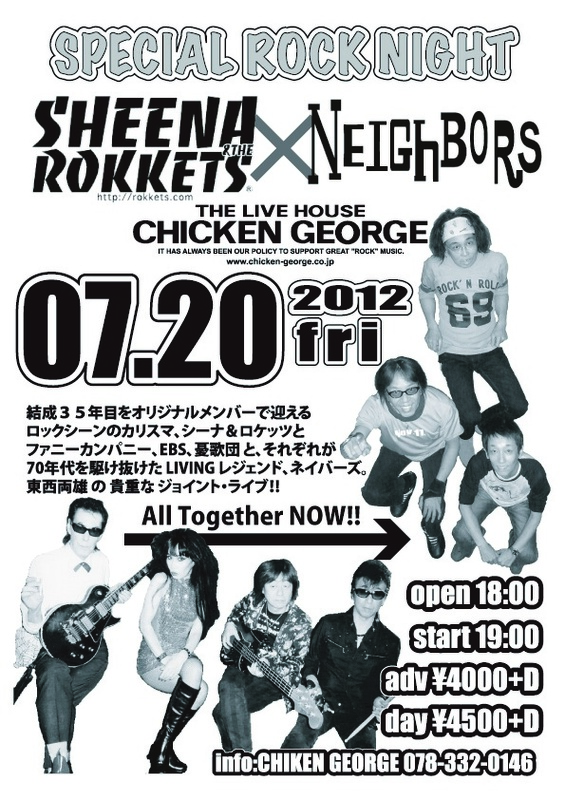 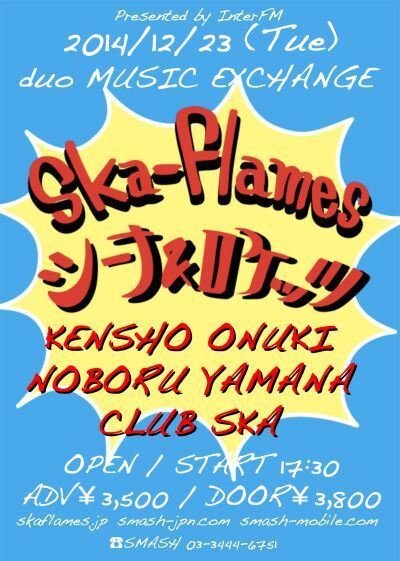 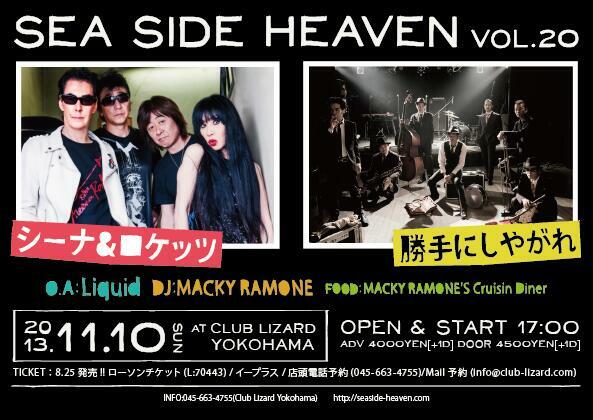 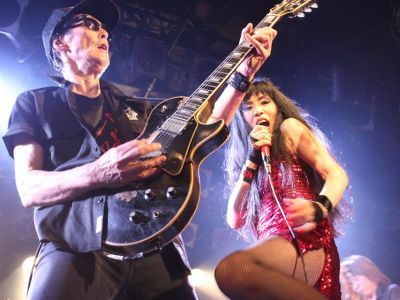 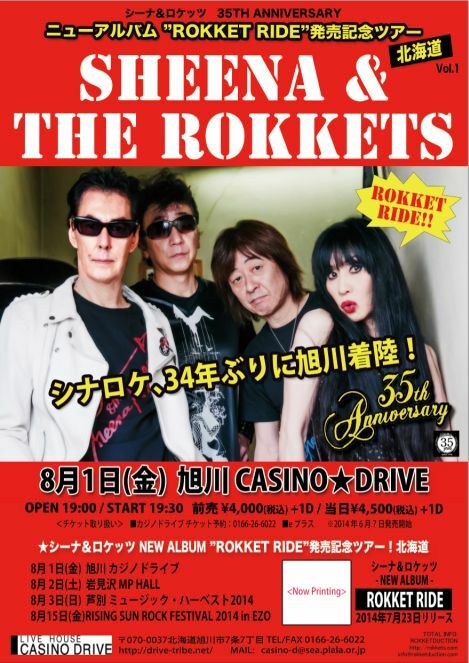 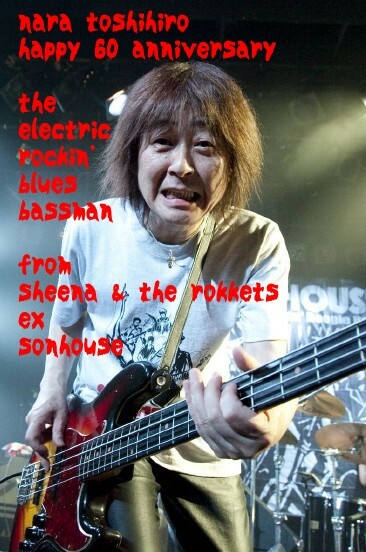 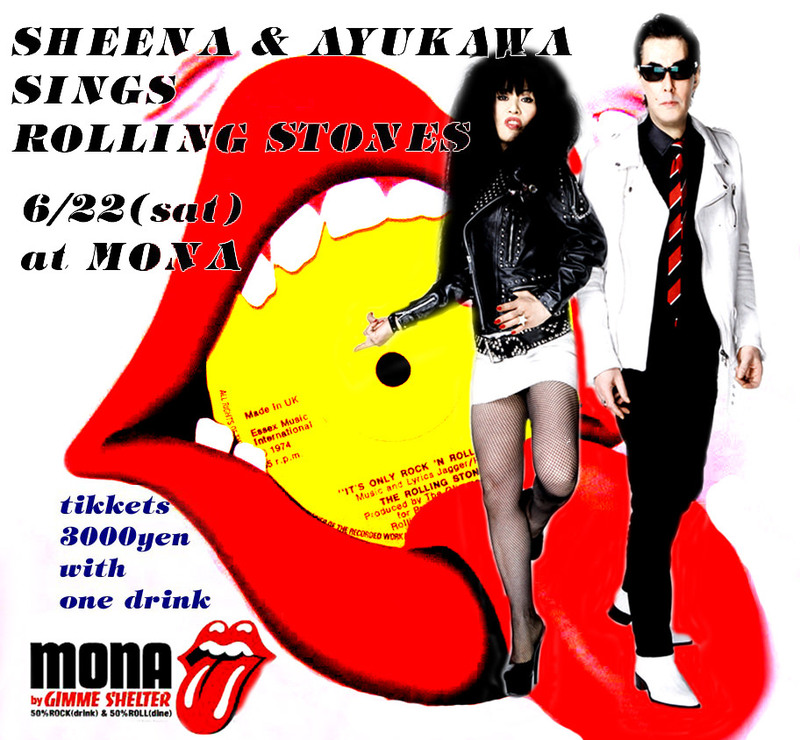 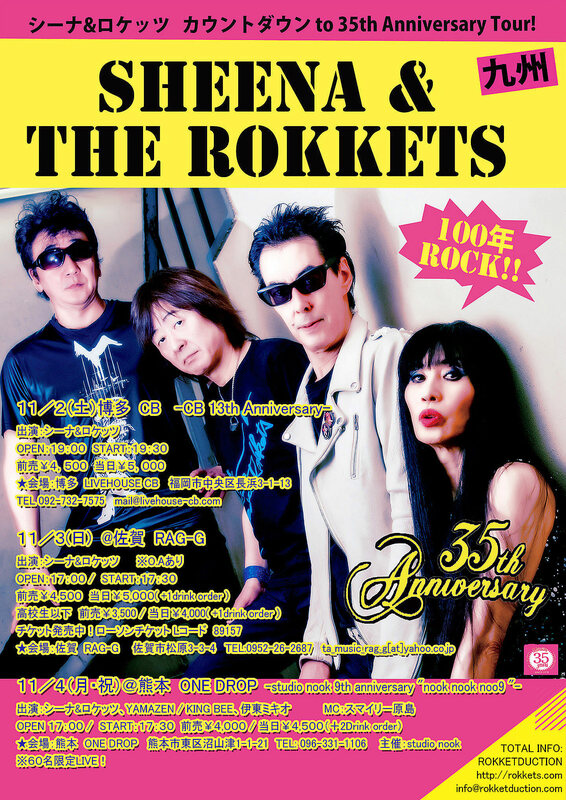 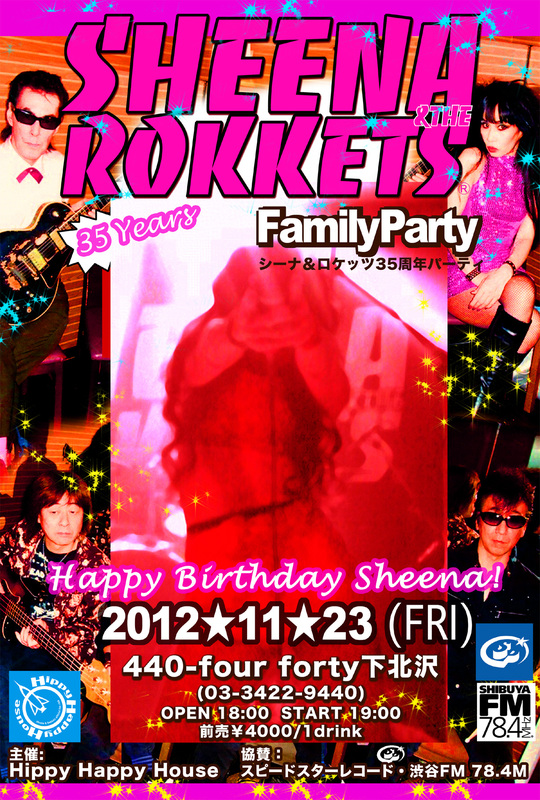 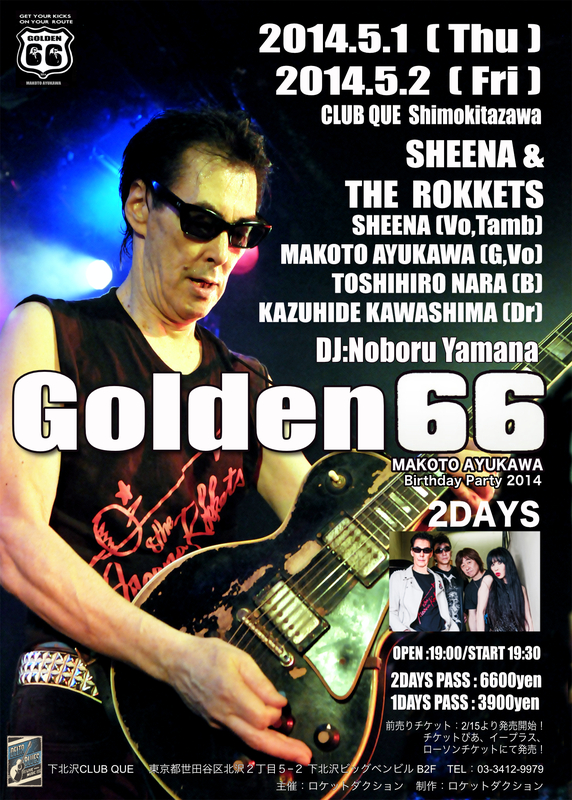 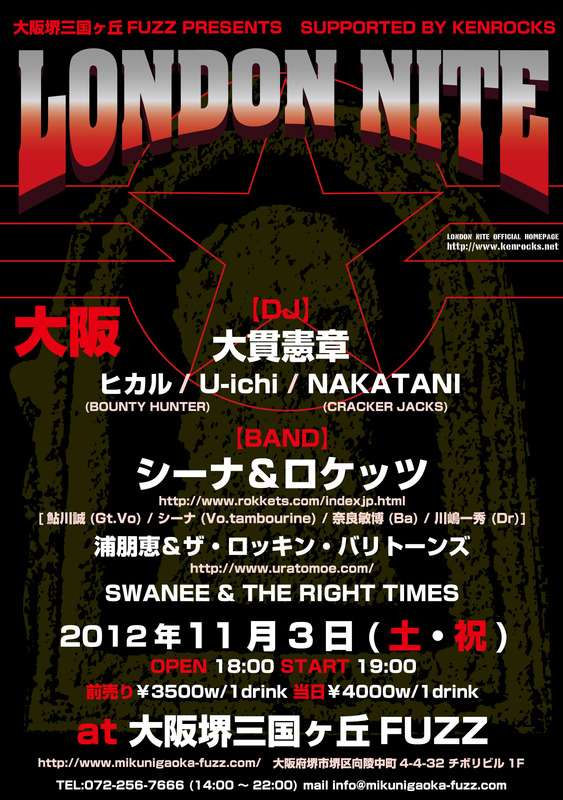 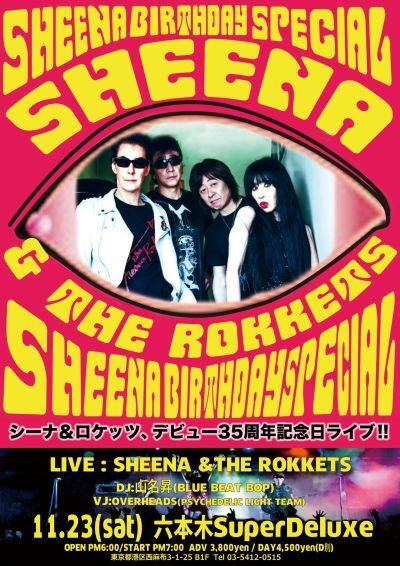 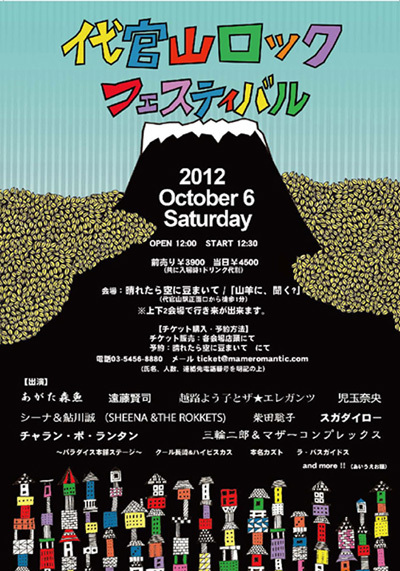 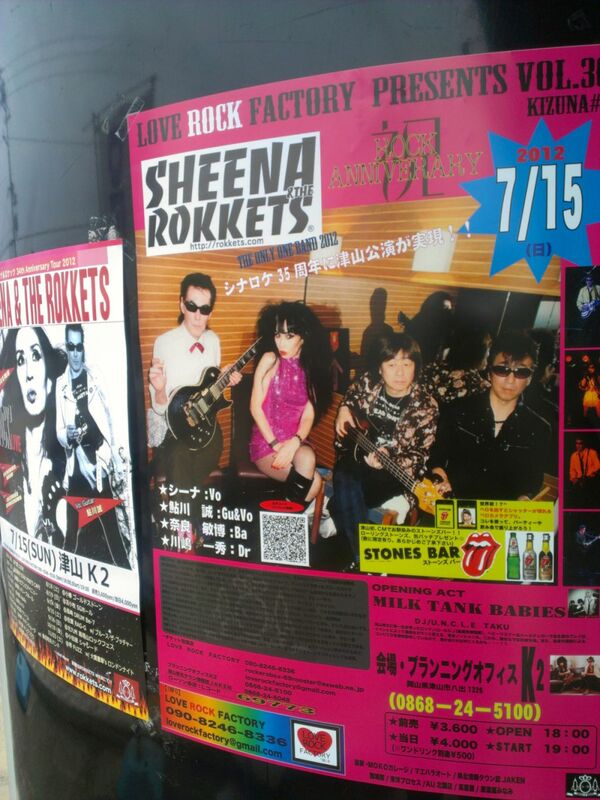 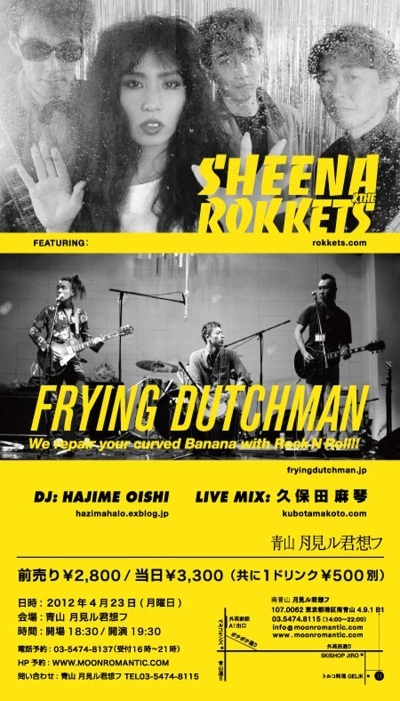 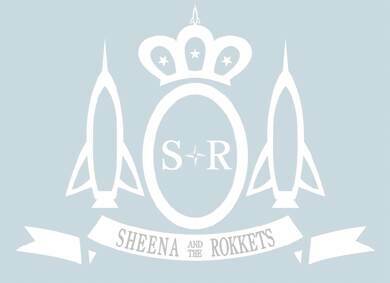 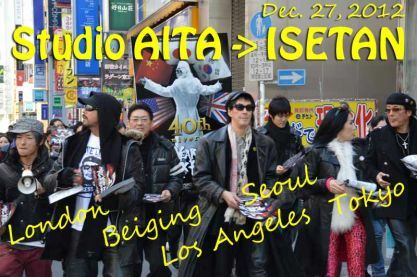 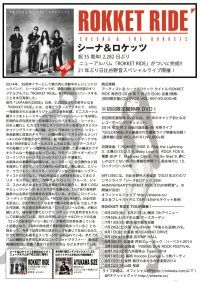 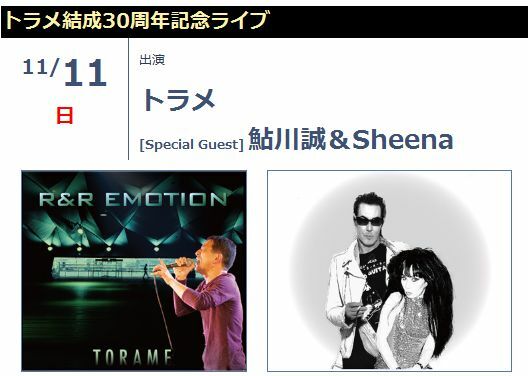 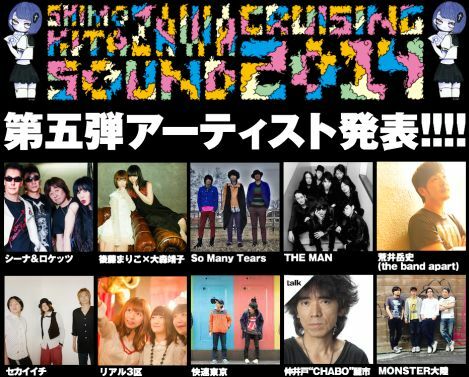 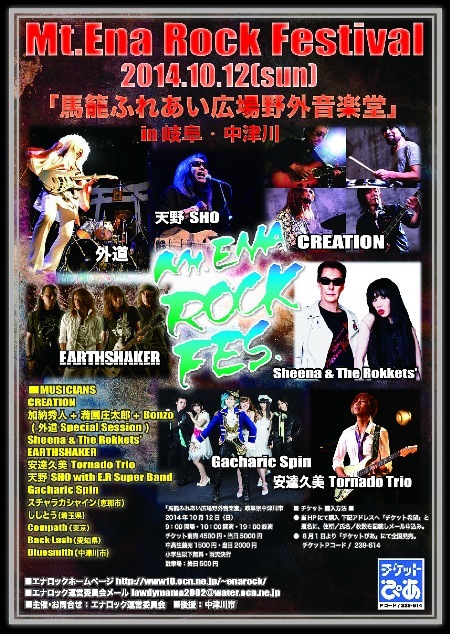 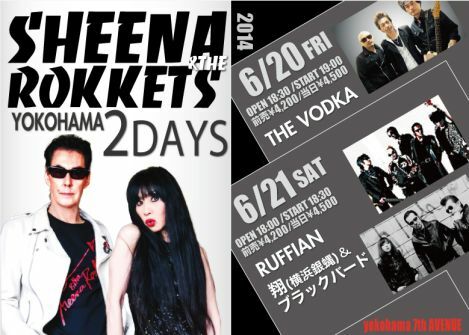 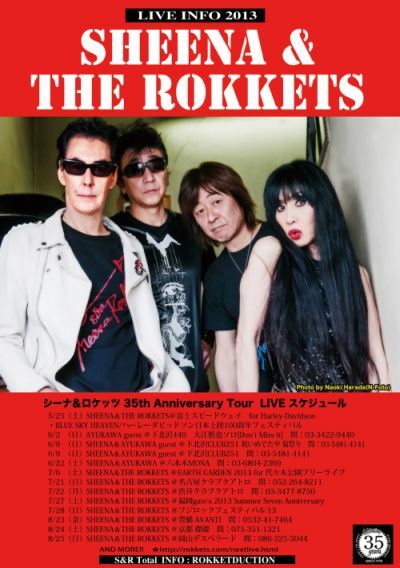 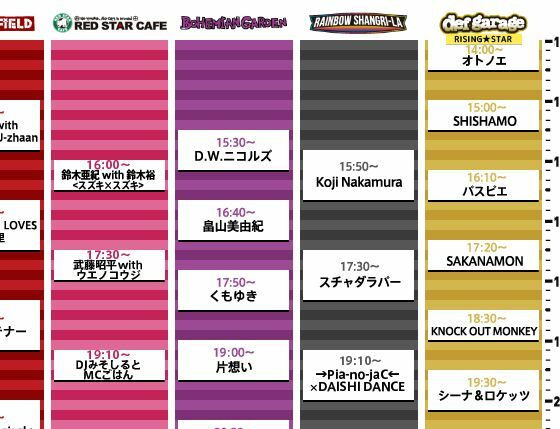 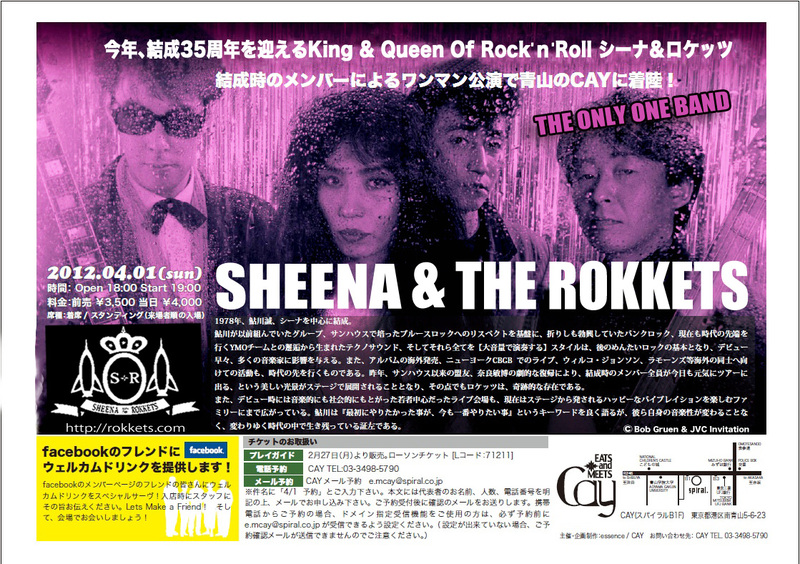 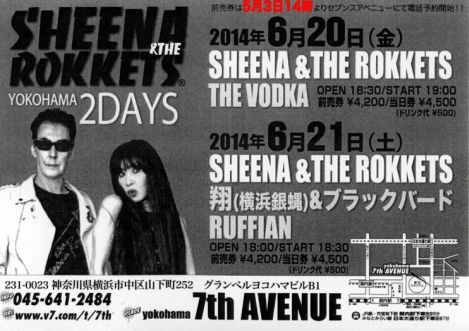 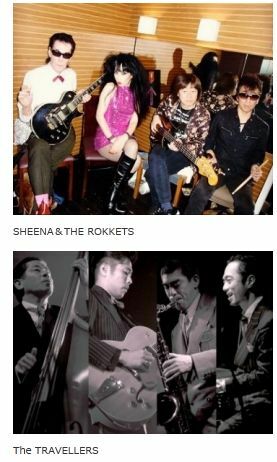 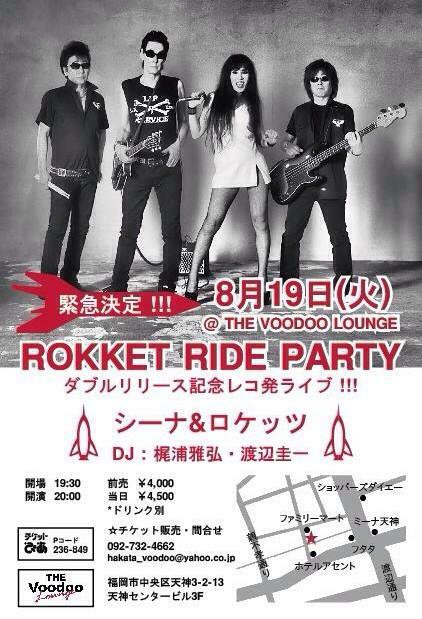 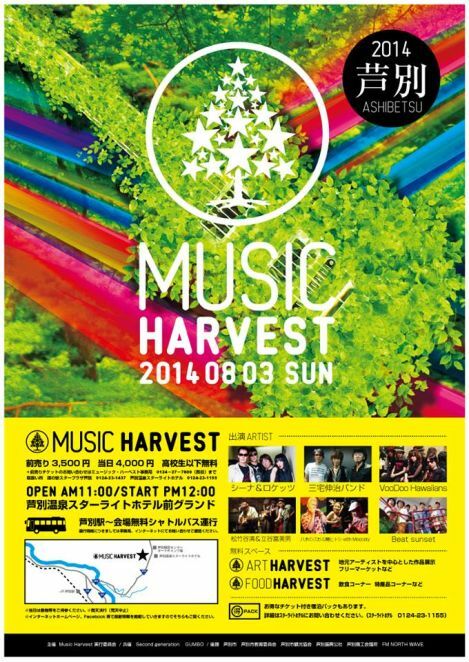 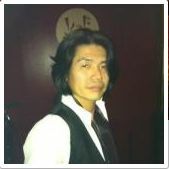 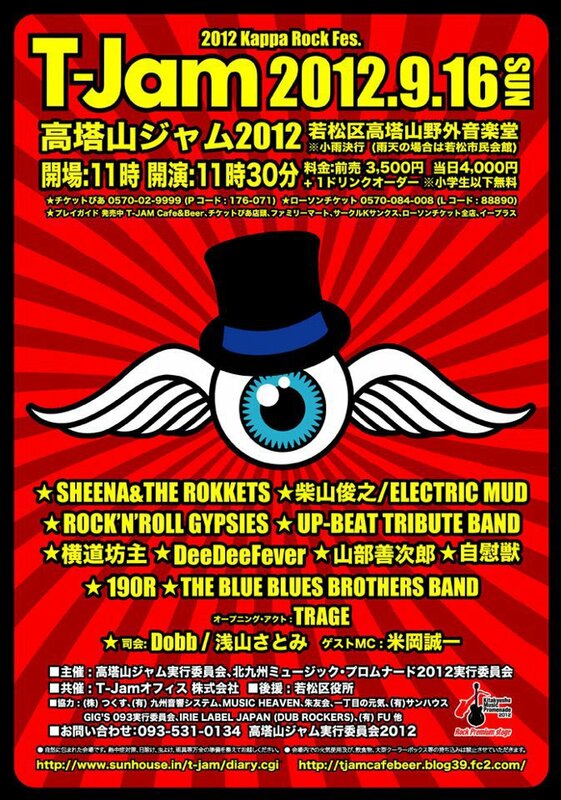 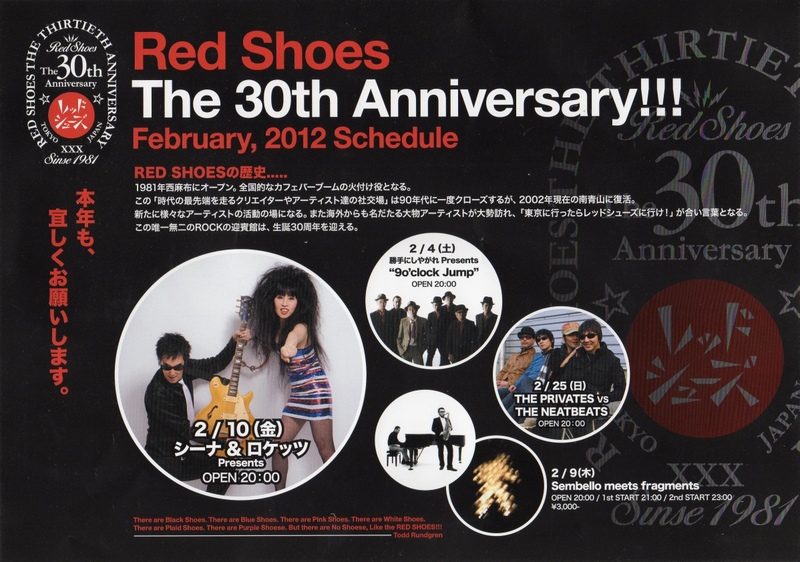 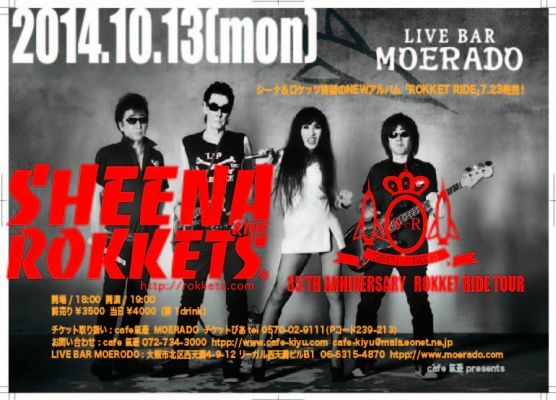 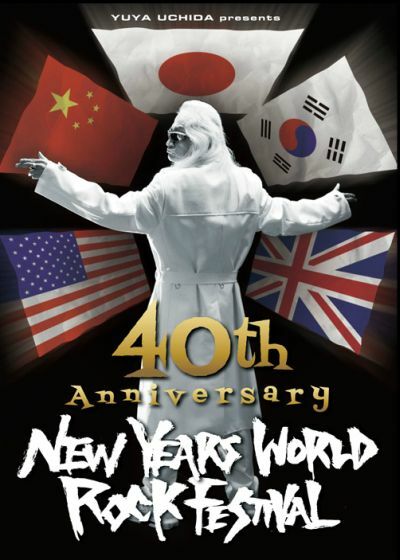 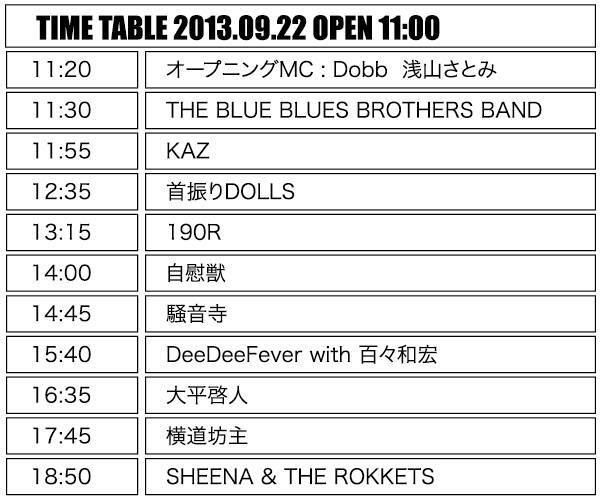 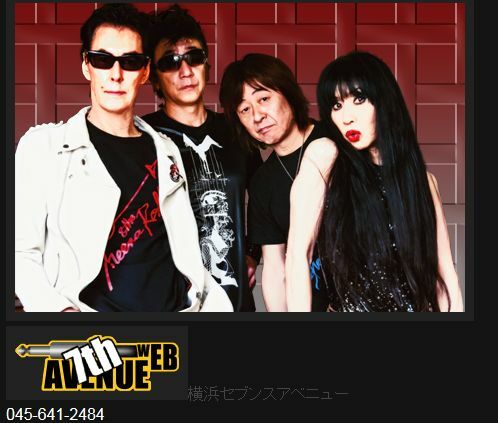 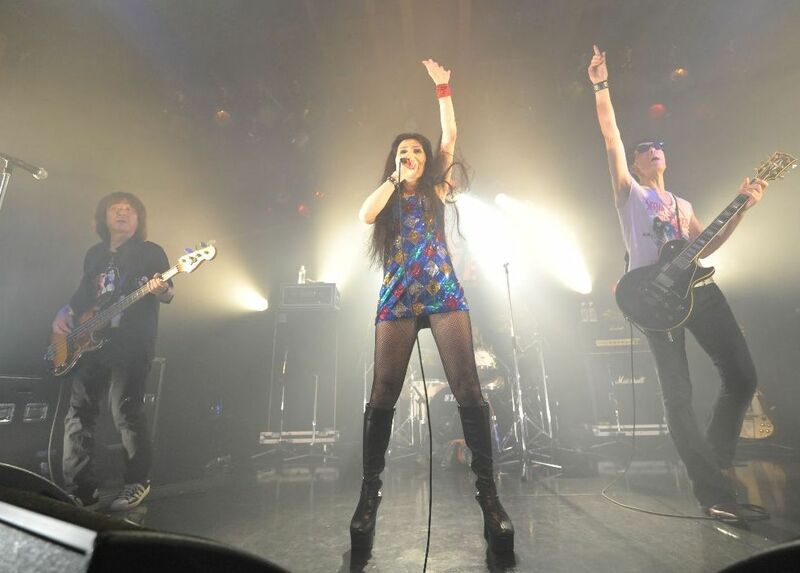 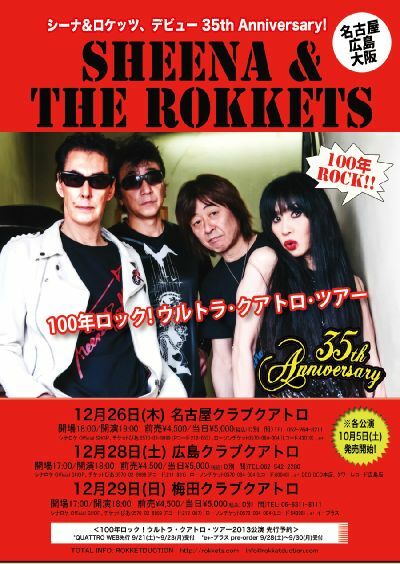 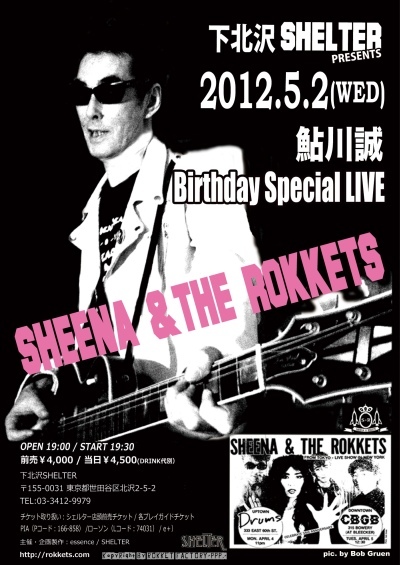 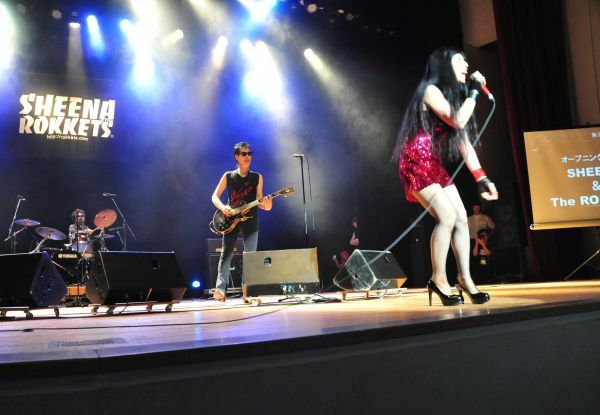 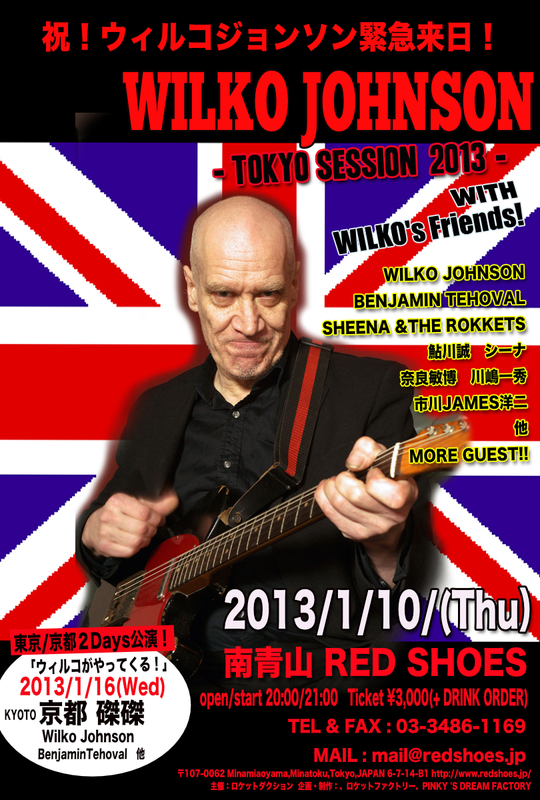 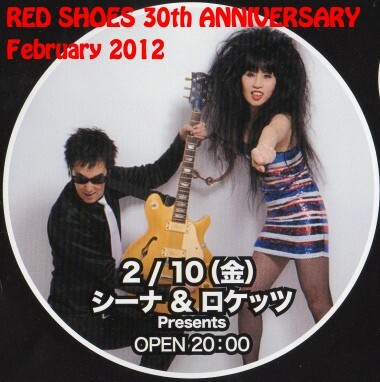 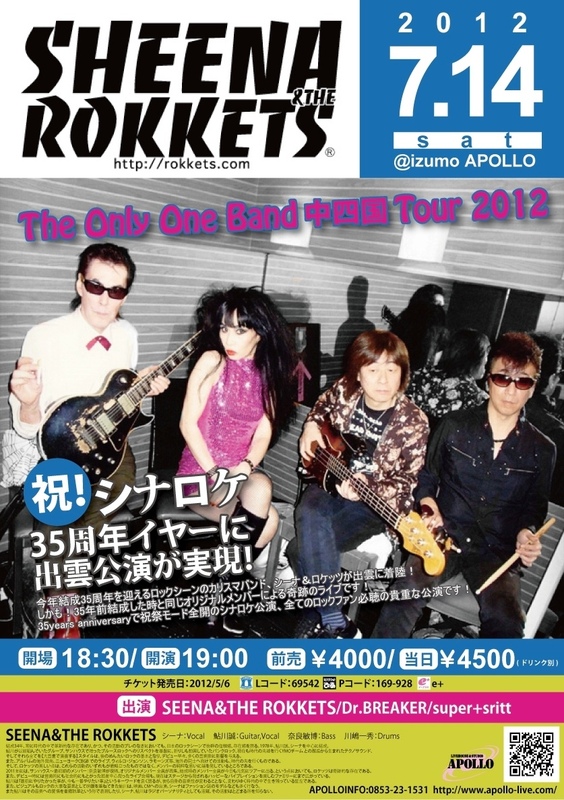 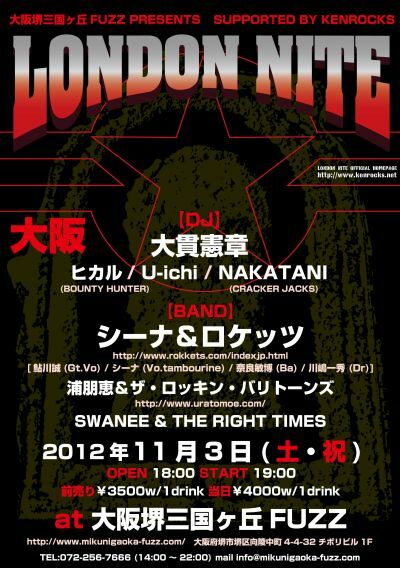 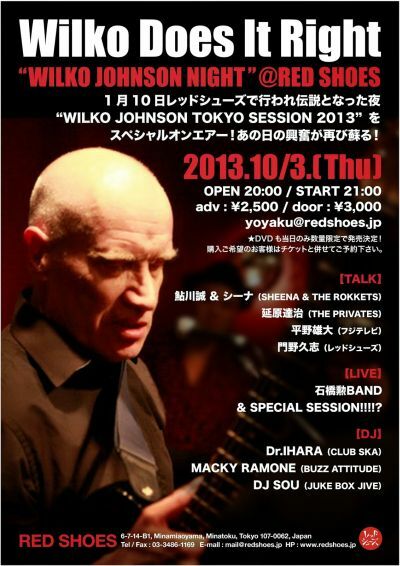 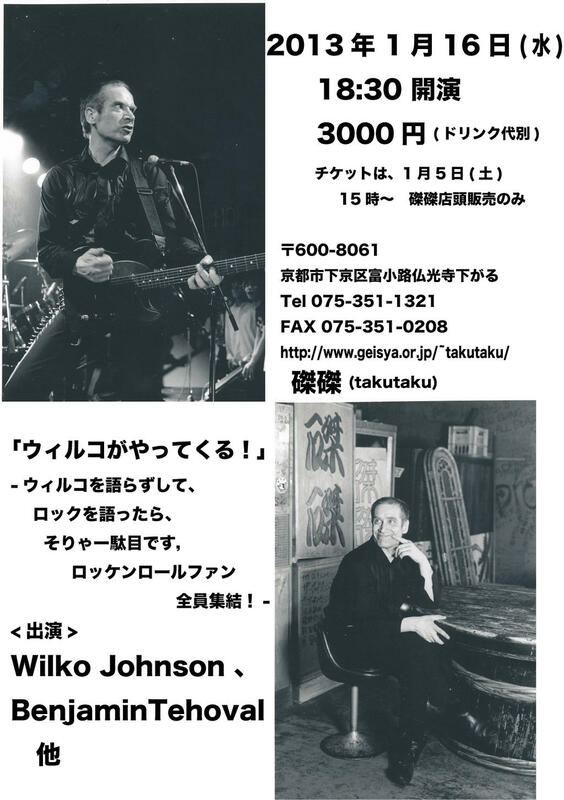 YouTube_九大百年祭　SHEENA&THE ROKKETS "Virus Capsule〜Sweet Inspiration"
出演　シーナ＆ロケッツ、桑名正博、白竜、カイキゲッショク、Remind Joe (sitarla 石間秀機、Key 篠原信彦、G 丹波博幸、B 永本忠、Dr 樋口昌之、sax 齋藤昇、Vj 成沢ヒデトモ）、HIDEBOH、上田秀一郎、BILLY、naoshin、AURA、Me-ISM、氏神一番、石橋勲BAND、内田裕也＆トルーマン・カポーティR&RBAND、AND MORE ! 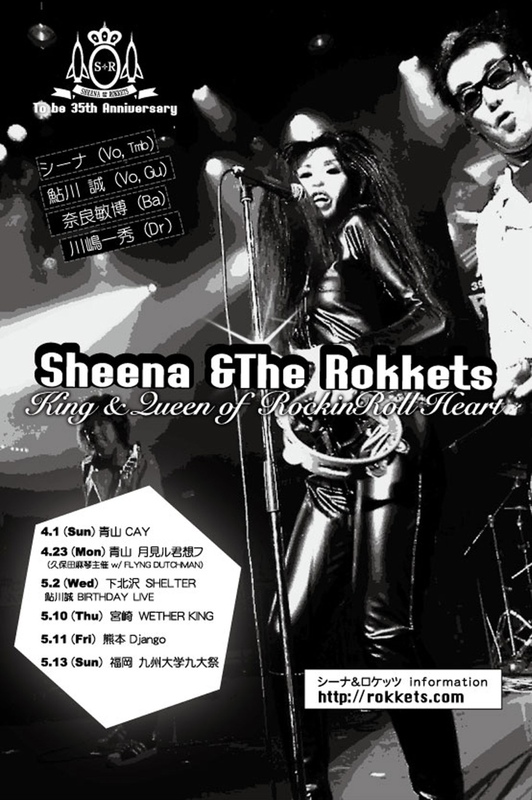 Kopyright(K) 1996-2006 Sheena & the Rokkets All Rights Reserved.